Know What Makes a Great Gift? Craft Vodka. Tall Grass Vodka is here...Tis the season for Tours & Tastings! 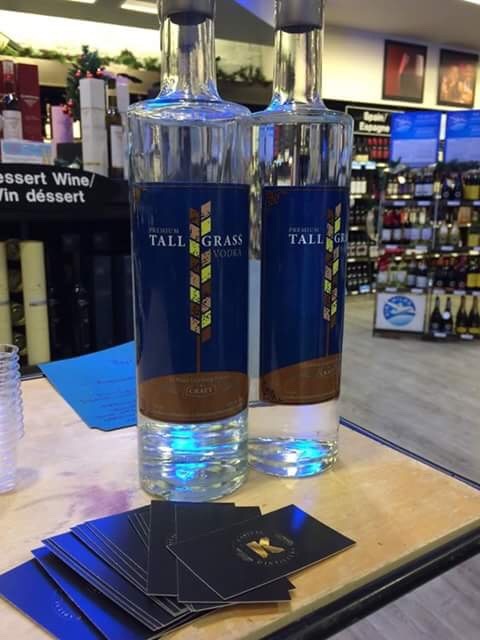 Tall Grass Vodka is here! 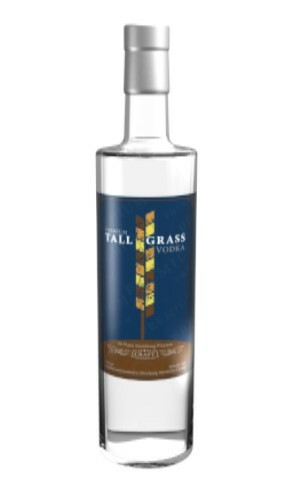 We decided to stick to our prairie roots and replaced Crystal Vodka with the same craft, premium product you've come to love - now called Tall Grass Vodka. Locally sourced with Manitoba red winter wheat and rye, Tall Grass Vodka is exceptionally smooth and makes the perfect classic martini or simple cocktail. 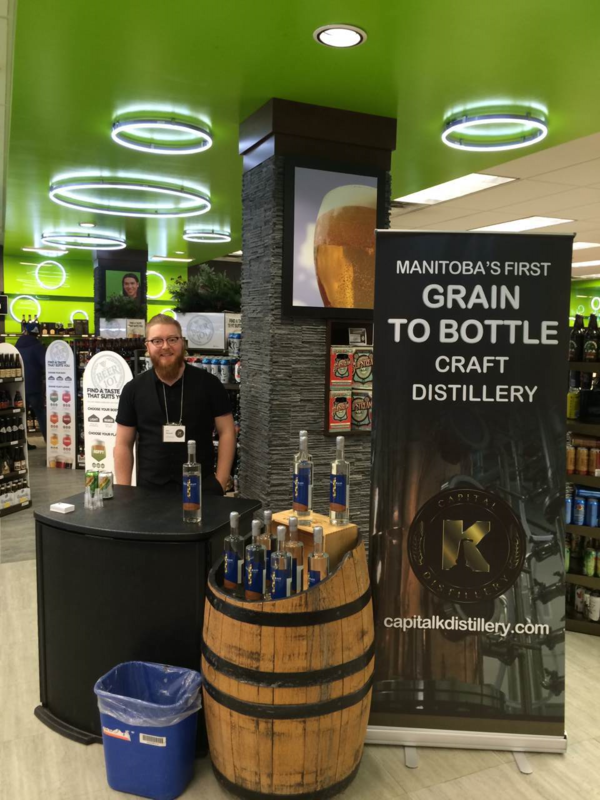 Tall Grass Vodka is available in Manitoba Liquor Marts (current locations listed here) - and we're even doing tastings at select Liquor Mart locations throughout the holidays. Stop by, taste our deliciously smooth Tall Grass Vodka, and say hello!! 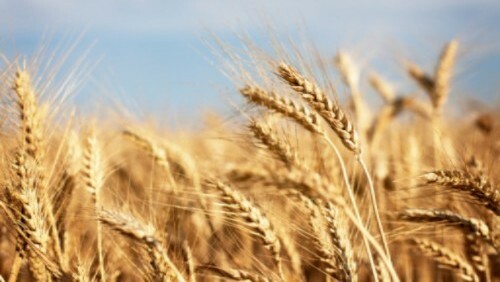 To learn more about how Tall Grass is made, click here. For the craft aficionado or the "buy local" enthusiast in your life, pick up a bottle of Tall Grass Vodka from Manitoba's first and only craft distillery. Want to up the ante? Give the full experience! Capital K Distillery (located right in Winnipeg) offers private tours and tastings, complete with the opportunity to purchase Tall Grass Vodka on-site if you end up loving it as much as we do. We're already in development with new products. Watch for Tall Grass Gin (made with over 12 botanical ingredients), as well as flavoured Tall Grass Vodka to roll out early 2017! Flavours currently under consideration include espresso and hazelnut vanilla. We can't wait for you to try them! Have a suggestion? Tell us here. Let them drink craft. Over the past month we've been covered by Travel Manitoba, WestJet Magazine, Peg City Grub, CTV News, and more. Read the latest on Capital K's News column on our site. Craft enthusiasts - help us spread word of the craft scene in Winnipeg! Tell your friends to sign up for distillery emails to get exclusive offers, latest announcements, and invites to private events. You and your friends who sign up between now and December 31, 2016 will have a chance win a private distillery tour and tasting session for 10 people. There's literally nothing like it in Manitoba. From our stills to your glass, Happy Holidays from all of us at Capital K Distillery! We look forward to serving you in 2017. Please drink responsibly. Copyright © 2016 Capital K Distillery Inc., All rights reserved.